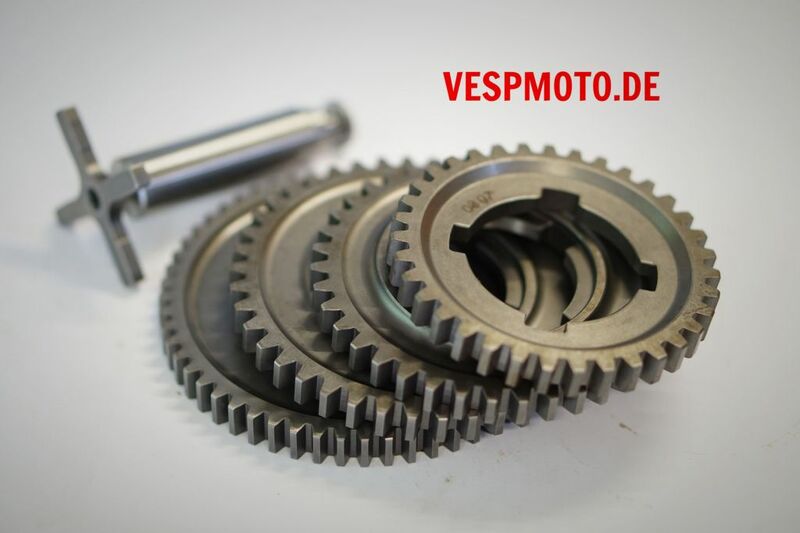 Gears, switching cross, circlip and distances from Piaggio. High-quality drive shaft from RMS with switch cross grooves and hardened thread. 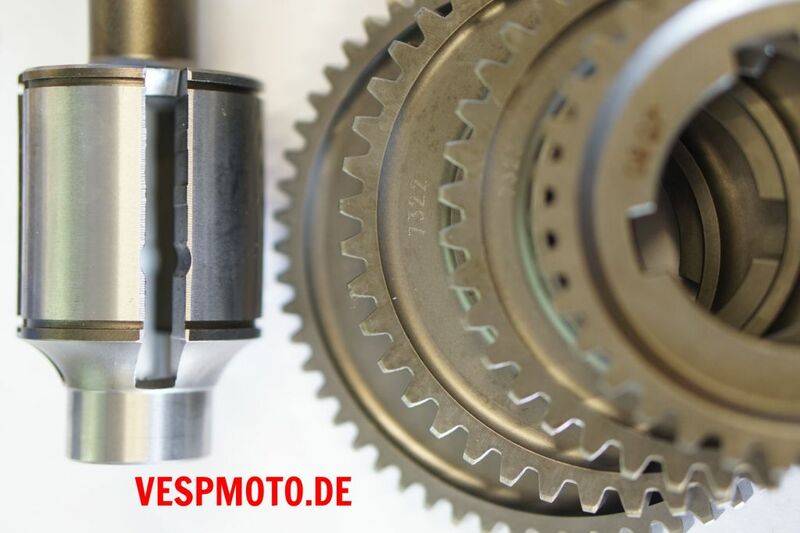 57-42-38-35 alternatively also with short 4th gear (36 teeth). 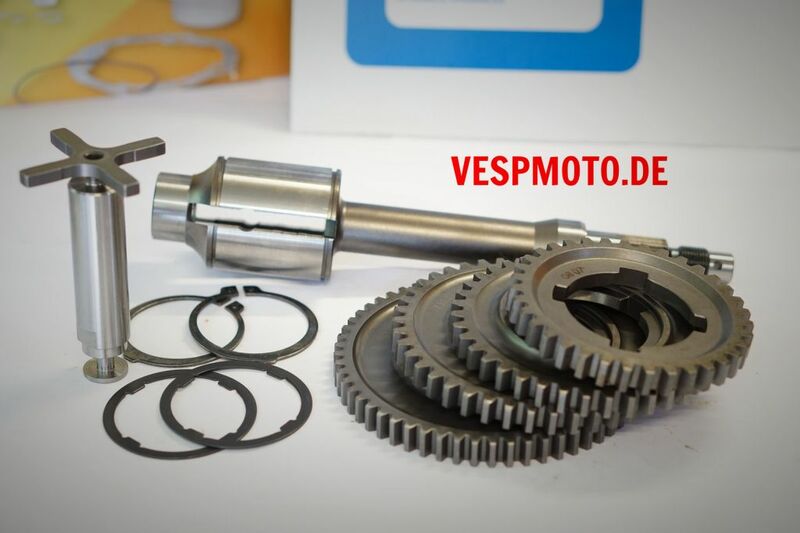 Original Piaggio spare parts simply the best!